Unlike most medical procedures, those involving assisted reproductive technology have implications for your patients that extend well beyond the immediate procedure. That is because a child becomes involved. In many instances, a clinic may use informed consent forms for ART procedures that were developed for similar, but different medical procedures. For instance, in a lesbian co-maternity arrangement in which one patient provides eggs and the other carries the child, you might decide to use an egg donation consent for the person providing the egg or a gestational surrogacy/consent for the person carrying the child. While from a medical standpoint, it may seem logical as one partner is undergoing an egg retrieval and the other is carrying the child, there can be devastating and unintended legal consequences. For example, if a partner holds up the egg donor consent in a later custody dispute, the partner who provided the egg could lose legal rights to the child. This is because from a legal standpoint, an egg donor is an individual who loses all rights and responsibilities to her egg(s) and any resulting child(ren) at the moment either the egg is retrieved or combined with sperm. Similarly, if you designate an individual as a gestational surrogate, the designation implies that your patient is carrying and giving birth to a child to whom she will have no subsequent legal rights or obligations. This is but one example of the many scenarios in which a clinic’s forms may damage a patient’s legal position. It is critical for the patients to have legal consultation in all ART matters, to ensure that the medical end result is the same as the legal result and so that the individuals who were intended to be the child’s legal parents will in fact be respected as such. Some clinics may wish to protect themselves from these unintended consequences and therefore require their patients to consult with an attorney before they perform any medical procedures. Some clinics may also wish to retain a local ART attorney to be on-call and advise the clinic on these situations as they arise. As with almost all of family law, the legal status of parentage can be very much state dependent, so working with an attorney with expertise in the relevant state law is critical. 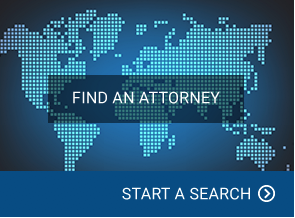 Search for an ART attorney in near your clinic in our Attorney Directory.